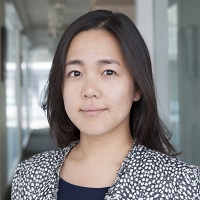 Dr Daisy Chung is a Lecturer in Management at Cass Business School, City, University of London. Prior to Cass, Dr Chung completed a PhD in Management Science and Engineering at Stanford University. Dr Chung studies how people work across occupational and organizational boundaries to create products, services, and field-level innovations. Her dissertation project examined the American biofuels field to understand how fledgling producers managed an uncertain regulatory and political environment in order to develop and legitimate the new technologies that underpin the renewable fuel infrastructure. In other research with co-authors, she looks at coordination among highly-skilled occupational groups that are trying to develop original products, such as vehicles and films. At Cass, Dr Chung teaches the Organizational Behaviour lecture series for first-year BSc students, the "Managing Strategic Change" elective on the modular and full-time MBA programs, and seminars in the PhD program. In 2016, she received a Staff Recognition Award for excellence in teaching. Dr Chung is a member of the Cass Teaching and Learning Committee, the Cass Centre for Professional Service Firms, and a regular participant in the Cass iShare series. Bechky, B.A. and Chung, D.E. (2018). Latitude or Latent Control? How Occupational Embeddedness and Control Shape Emergent Coordination. Administrative Science Quarterly, 63(3), pp. 607–636. doi:10.1177/0001839217726545 . Sandholtz, K., Chung, D. and Waisberg, I. The double-edged sword of jurisdictional entrenchment: Explaining HR professionals’ failed strategic repositioning. Organization Science.